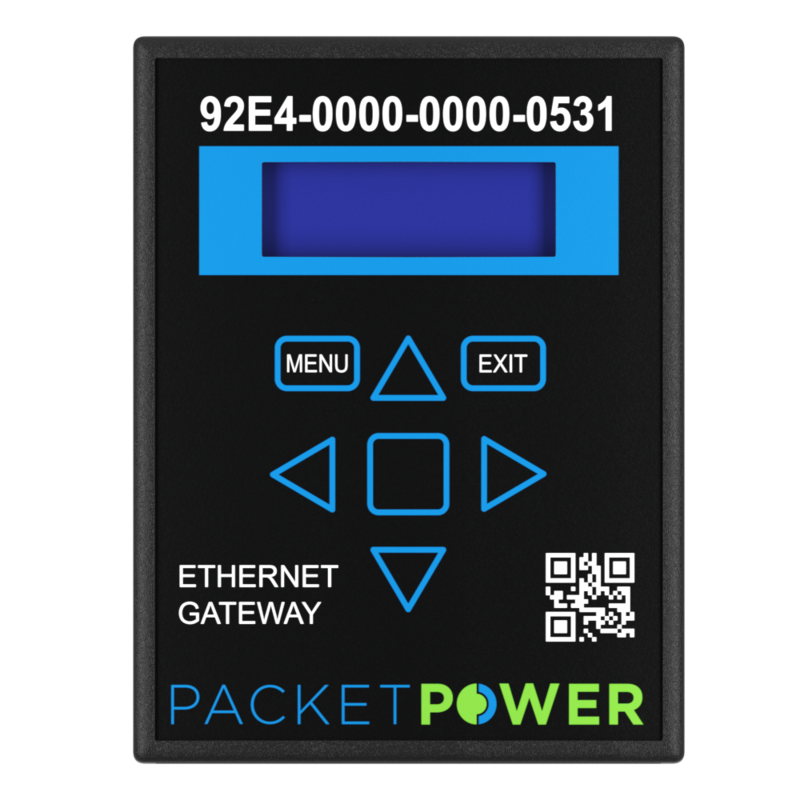 Packet Power is proud to deliver new wireless products and additional capabilities for gathering power and environmental data in any size facility, for any industry, worldwide. Packet Power has moved to a touchpad interface for Version 4 Gateway, Hub and Data Diode products. The touch sensitive surface replaces the joystick while all other functionality remains the same. Compact enclosures with maximum flexibility enable monitoring current and/or power for 1-18 circuits up to 600V and 6000A. 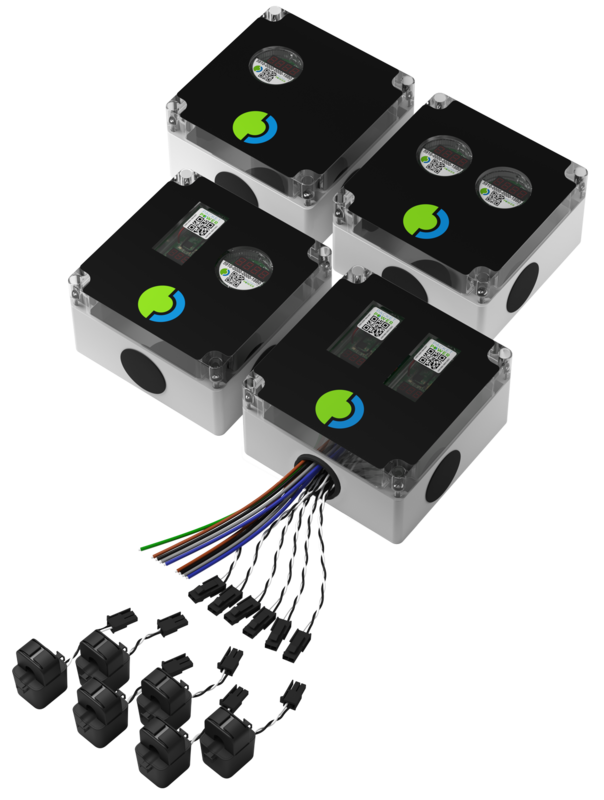 Complete preconfigured monitoring kits can be installed and delivering data in minutes. 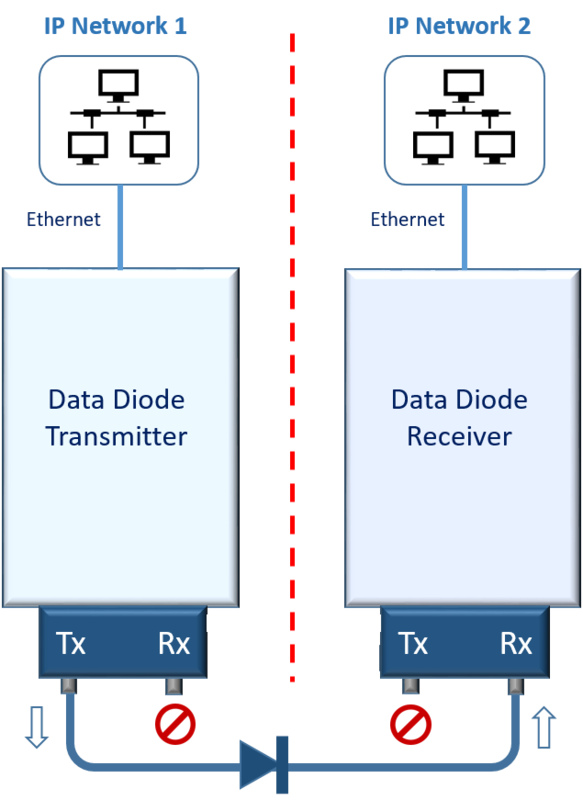 Enables one-way secure transfer of monitoring data between two isolated IP networks. For example, a colocation provider can easily share real-time monitoring data for use in an end customer's monitoring application. 96-circuit wireless panel monitoring that installs on PDUs, RPPs or panelboards from any vendor. 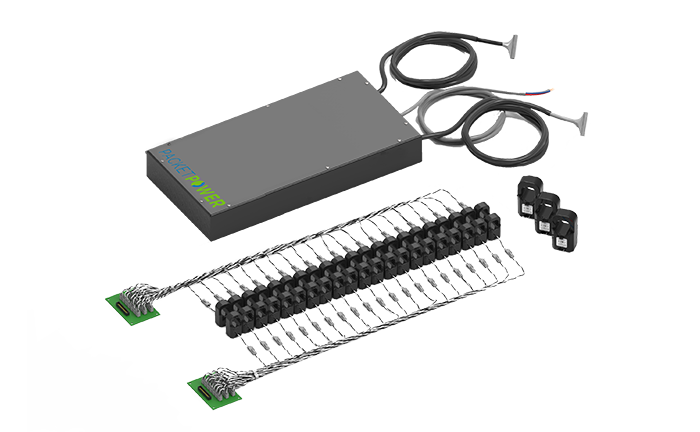 A small, flexible CT harness and simplified installation process make this an ideal retrofit solution. Easily monitor current on up to 48 circuits with the new BG08 wireless panelboard monitoring kit. 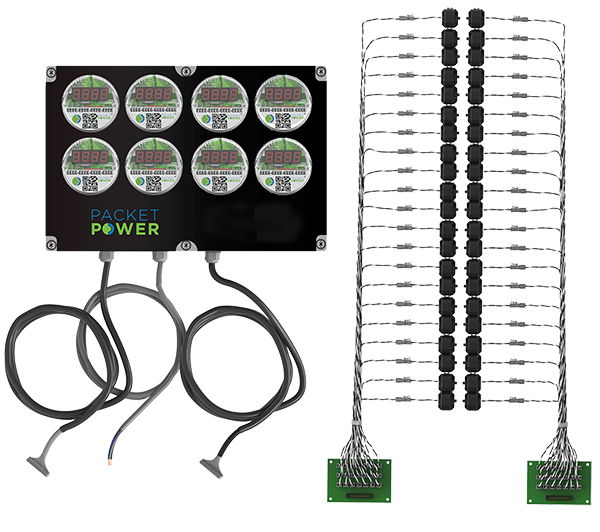 Can be installed on any panel, RPP or PDU to provide real-time visibility into circuit loads at a highly attractive price. We'd love to discuss your needs!